What is the Continuing Education in Dressage Judging Program? May I attend a CE program if I am not a Judge, L Graduate or enrolled in the L Program? What topics are covered at these CE Programs? Are USDF University credits available for participating in a CE Program? Are auditors eligible for USDF University credits? What are the costs to participate in this program? Who can organize a CE Program? Are grants available to host CE Programs? Who can I contact to get more information about the Continuing Education in Dressage Judging Program? The Continuing Education in Dressage Judging Program (CE Program for short) was developed by the USDF Judges Committee to provide continuing education opportunities, on a regional level, for licensed judges and USDF "L" Graduates and those enrolled in the USDF L Program. Yes, these programs are often open to silent auditors who do not need to fill any requirement. "View from C” - This program primarily involves using a system of headsets, where a moderator comments to the participants on what is being observed. 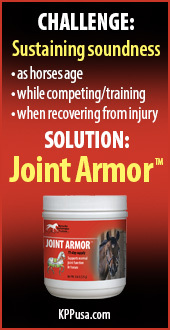 This can take place at a clinic setting with demo riders or at a competition. "Upgrade Your Judging Eye I” – This program primarily involves the use of videotapes/DVDs as educational tools. The tapes viewed could be one or a combination of the following; footage of full tests, selected movements, or freestyle tests. "Upgrade Your Judging Eye II” – This program primarily involves practice judging full tests at a dressage competition or clinic setting with demo riders. “Musical Freestyle L Elective Program” – This program primarily involves Musical Freestyle and includes lecture, audio, and audiovisual portions. At least one instructor/speaker must be, at the minimum, a USEF ‘S’ Judge. Presenters for the Musical Freestyle program must also be current L Program Faculty. Go to the Tune in to the L Program a blog administered by the program liaison. Contact the Judges Committee liaison at Judgescommittee@usdf.org or 859/971-2277. Yes, University credits are automatic for participants. For a one-day program, participants receive two University credits. Auditors are eligible to receive one University credit per day. To be eligible to receive credit, you must be a current USDF Participating, Group, or Education member and pay a $5 processing fee. Each program may vary in their fee structure for participants and auditors. The hosting organization is financially responsible for the profit or loss of the program and set up their individual fee structure. You need to contact the organizer of the program you are interested in participating in to find out their fee structure. A Program can be hosted by a USDF Group Member Organization, or other USDF- approved organization. The Dressage Foundation, through the Edgar Hotz Judges’ Fund, offers grants to host these programs. 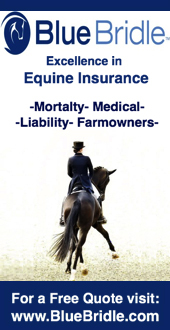 Group Member Organizations (GMOs) hosting Continuing Education in Dressage Judging Programs can apply for a total of $800.00 in grant money for financial assistance in helping the GMO reach a break-even point. This grant is intended to help GMOs provide continuing educational opportunities for USEF Licensed Judges, USDF L Graduates, and those enrolled in the USDF L Program. Contact the USDF Judges Committee liaison by emailing judgescommittee@usdf.org or calling 859 971-2277 and asking to speak with the liaison.